The place for your tenants and guests! Let them manage their side of things, pay rent, make bookings and send in service requests! We have given them everything they could possibly need inside 1 easy to use panel. The tenants and guests share a panel but the features that they see depend upon if they are leasing or booking a property. Ofcourse your tenants can also make online bookings for your vacation rentals from the same place. A Full property overview allows your tenant / guest to see everything about their property 24/7, scroll down to read more about what they get! Having your invoices online allows your tenants & guests alike to make payments 24 hours a day, 7 days a week, 365 days a year without fail. 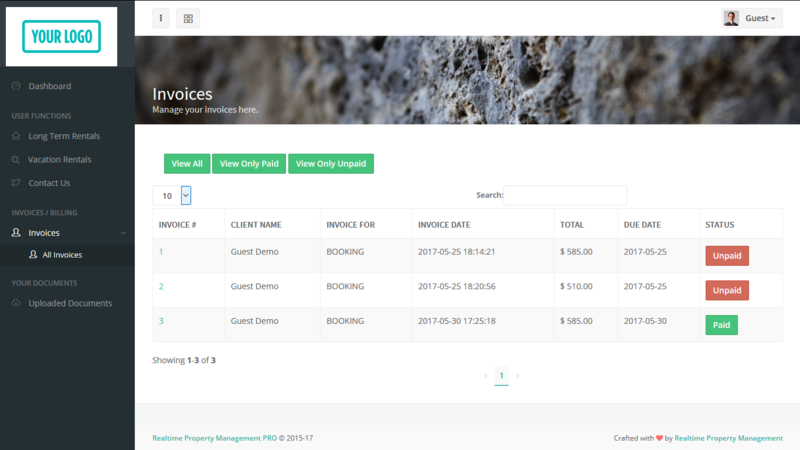 At the same time you are never going to have to print a reciept again as your tenant or guest can simply login and click the print button for themselves, saving you time and money. 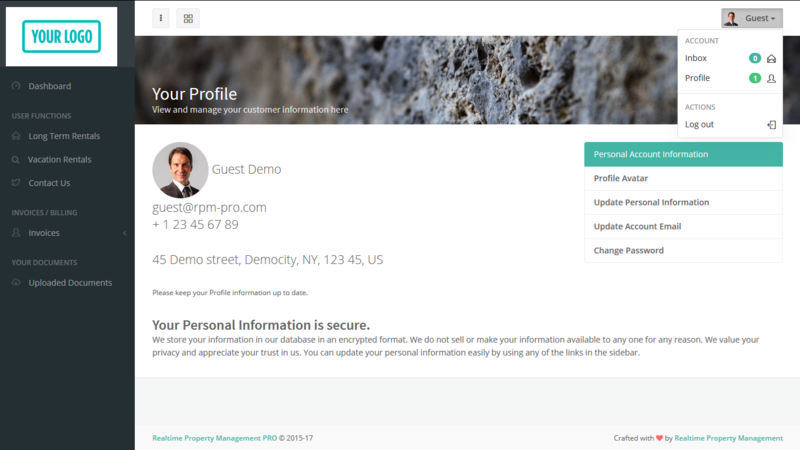 Your tenant or guest can manage all of their details at any time of day thanks to the RPM Pro portal, if they have moved house they can simply login and update their details and get a full overview of their bookings or current lease information. They can also see any site alerts that you may have setup for them to see on their dashboard right away as they login. 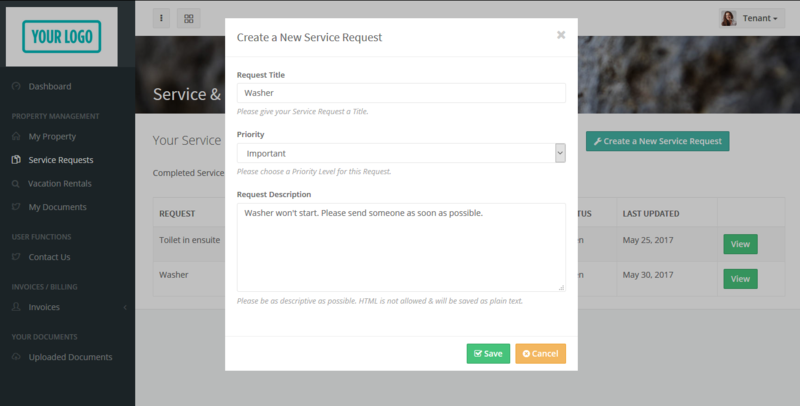 Online service requests saves you time and money by keeping everything in 1 place. Now your tenant or guest can simply login to their tenant portal and create a new service reuqest to let you know that there is something wrong with the property, your housekeeping or service department will be alerted right away so that the issue can be resolved without you needing to lift a finger, and your tenant or guest has peace of mind that everything is tracked properly. Want to have a look on our amazing package deals?! 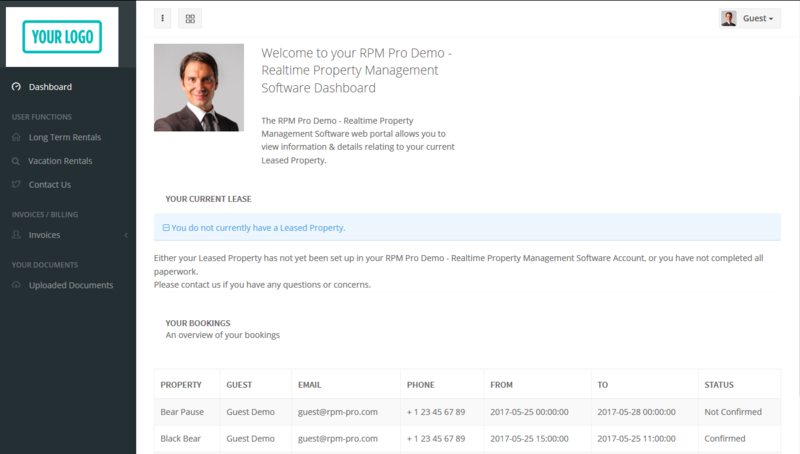 New Release: RPM Pro V3.9 - The rentals management software that gets better every month!